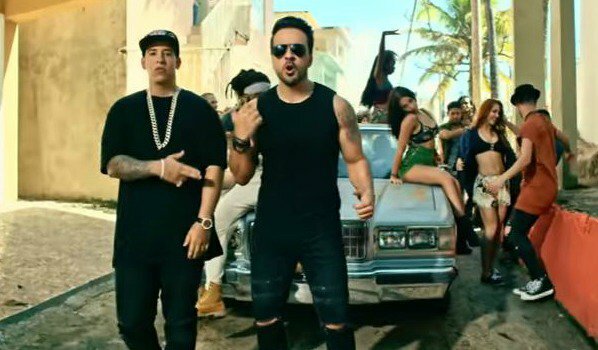 Luis Fonsi and Daddy Yankee's hit single, 'Despacito', hit the three-billion mark on YouTube a few days ago, and made history in the process. It's the first video to reach three billion, dethroning Wiz Khalifa and Charlie Puth's mega hit, 'See You Again', as the most watch video on the site. 'See You Again', which became the most watched video in July, has also reached three-billion views, but needs nearly 70 million views to catch up with 'Despacito'. Psy's 'Gangnam Style', which held the number one spot for years is now at number three. Luis took to Instagram to celebrate Despacito's big milestone. "Thank you to everybody involved. Thank you, the fans for celebrating this song with us," he said. Luis and Daddy Yankee teamed up with Justin Bieber for the 'Despacito' remix, which propelled the song to even bigger heights on charts around the world. The remix is currently at number 16 on the Coca-Cola Top 40 chart.